AIS receivers offer the most cost effective option for non SOLAS vessels wanting to monitor AIS traffic, without being seen themselves. Receivers pick up every AIS message in range, plotting targets onto chart displays. AIS receivers don't transmit AIS data ensuring the boat is not seen by other AIS enabled vessels. 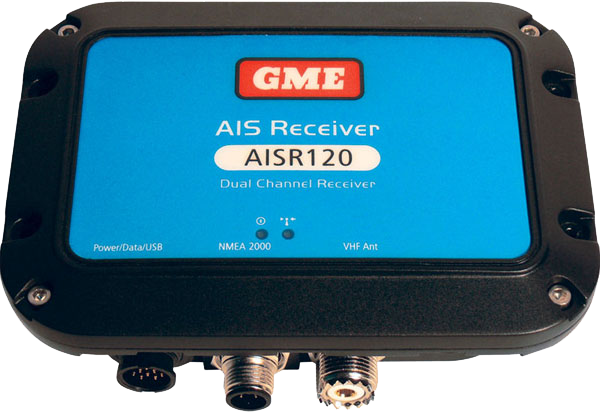 Even though they do not transmit, they sill receive AIS data from AIS transceivers within range. Multiple outputs including NMEA 0183 and 2000; USB and wifi, ensure the AIS data can be integrated to many different displays including PCs, chart plotters, wifi enabled devices and radars. AIS receivers are also a cost effective option to creating a chain of AIS base stations along a coastline, acting as a link between vessels and AtoNs and central command centres. Aimed largely at the leisure market, receivers give the flexibility of easy installation as no GPS antenna is needed, coupled with multiple outputs and low power consumption to mariners who want to see what is happening in their immediate environment.